Like Mr. Balloon Wizard on Facebook and check out all his public events! The Fun Club is all about fun and so much more! Learn how you can receive cool things and more! Mr. 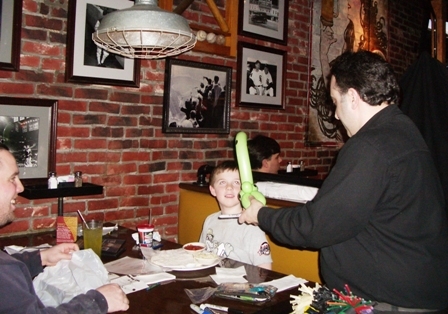 Balloon Wizard and Promo Magic know what kids and parents want, and we have it for you! Come in person and meet Mr. Balloon Wizard at any posted event and find out why the Fun Club is one you want to join! Ask your parents’ permission first, then email mrballoonwizard@gmail.com to receive your Fun Club card.